Home solar power return on investment is immediate, free solar panel installation and reduced monthly electricity bills mean you will save money day one. New research by the U.S. Department of Energy’s Lawrence Berkeley National Laboratory finds that with the addition of solar panels, home values soar an average of $17,000. Local and Federal incentives could mean zero out of pocket expense. 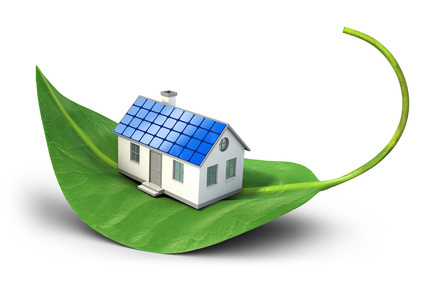 Leasing solar panel contracts allows homeowner to pay a flat rate, every month, no matter the season for up to 20 years. The panels themselves, typically carry a 20 year comprehensive warranty so in the event that a panel ceases to function properly or mother nature renders your panel useless, it shall be fixed with zero out of pocket for the homeowner. Protect yourself from annual increases from your power company. On average, local municipalities will raise their rates by 6% annually. With Solar Power, your power bill will remain a constant for up to 20 years! New federal legislation has created a 30% tax credit for anyone that purchases solar panels, or other alternative energy products. The credit also covers solar panel installation costs. Additional incentives from state and local governments can reduce the upfront cost for solar energy panels by as much as 100%. When factoring in energy savings and increases to the value of one’s home from a residential solar panel the long term investment returns are huge. It’s affordable — and flexible. With a solar lease, you don’t have to pay a lot upfront. But, if you have savings you’d like to use, you can pay more upfront and lower your fixed monthly payment. It’s worry-free. You don’t own the equipment, so you don’t have to worry about installation, monitoring, and repairs. It’s a fixed cost. Your monthly payment is low and fixed. You have control over your electric bill and don’t have to worry about a higher bill if the panels produces more electricity. Even if rebates and incentives are paying for more than half of the costs of purchasing a system, there can still be a considerable cash outlay to the consumer. Interestingly, many who finance solar with a home equity loan find that their electricity savings are immediately greater than their loan payments, meaning this is another way solar can save the homeowner money from day one.